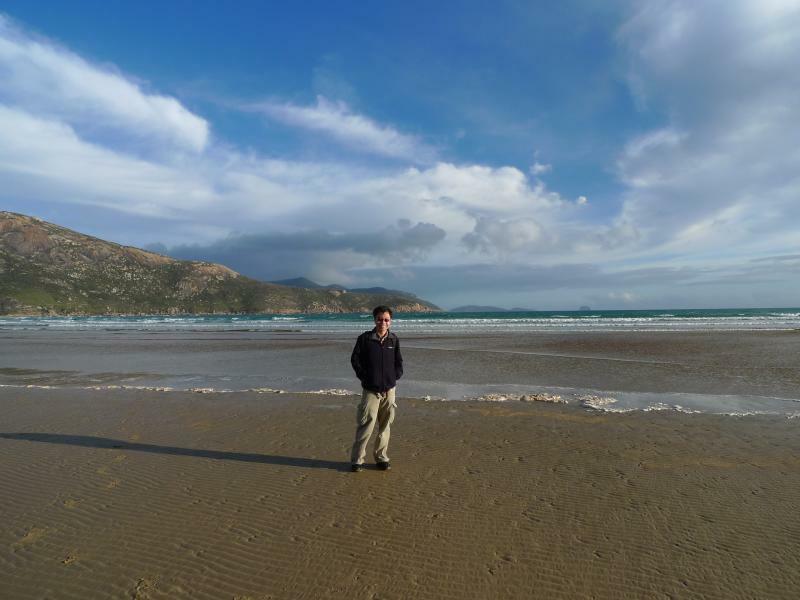 On the first afternoon of our trip to Wilsons Promontory, we made a quick dash into the park, securing a car-pass for two days before driving to the coastal bays on the West side of the island to catch the afternoon and evening sun. 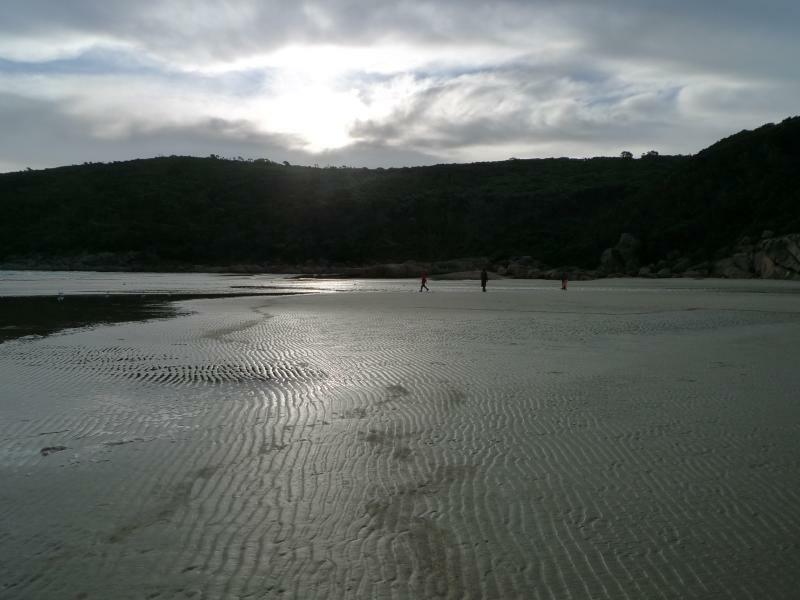 Due to the limited daylight hours, we kept to the beaches near the Tidal River area, which included Oberon Bay, Norman Bay and Picnic Bay. 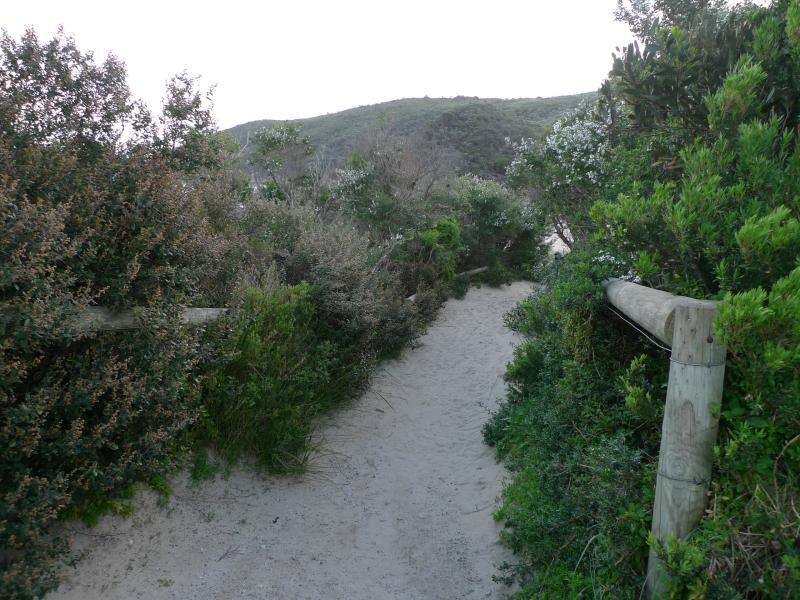 You can see some details of these beach areas from the map of Wilsons Prom above. They are physically closer to the main driving route and hence more easily accessible by car without having to trek long distances. 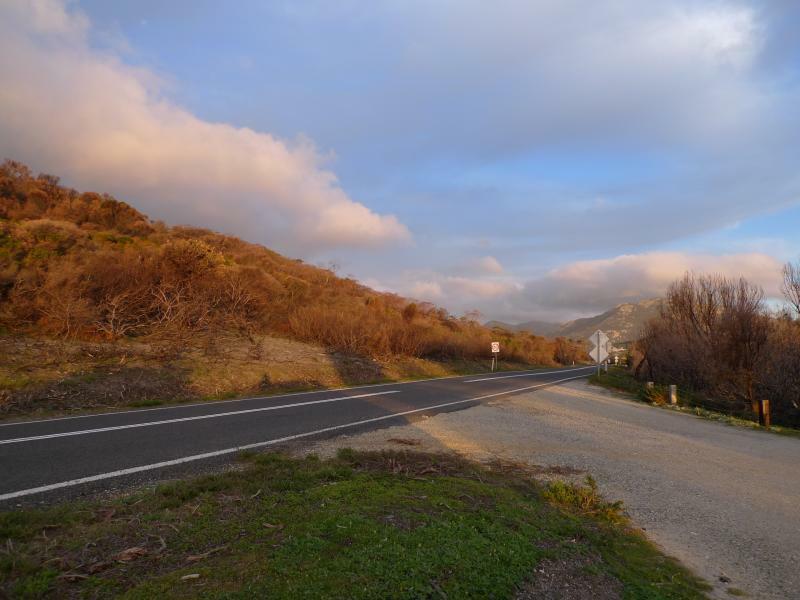 Along the way, we stopped at a lookout point and took photos depicting the beautiful juxtaposition of the mountain, the road, the sea and the sky. 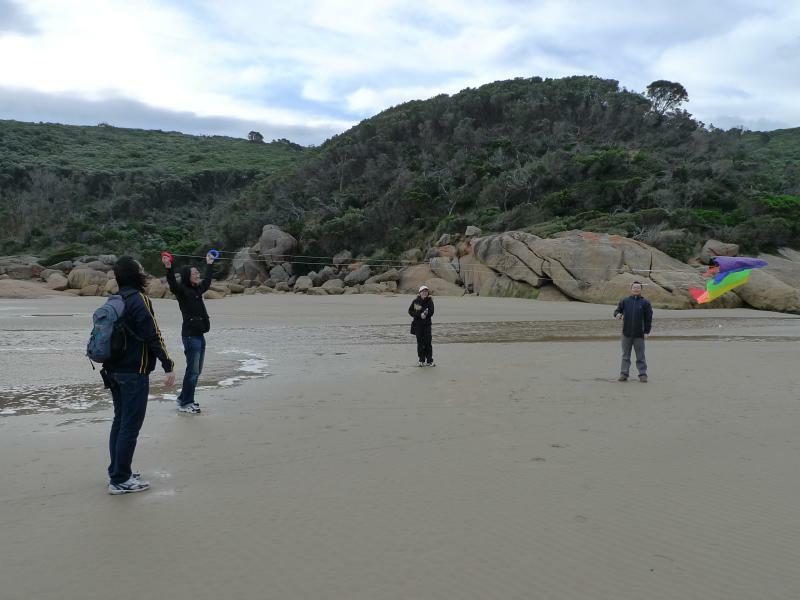 Our first stop was at Tidal River, near the park office and cabins located within. 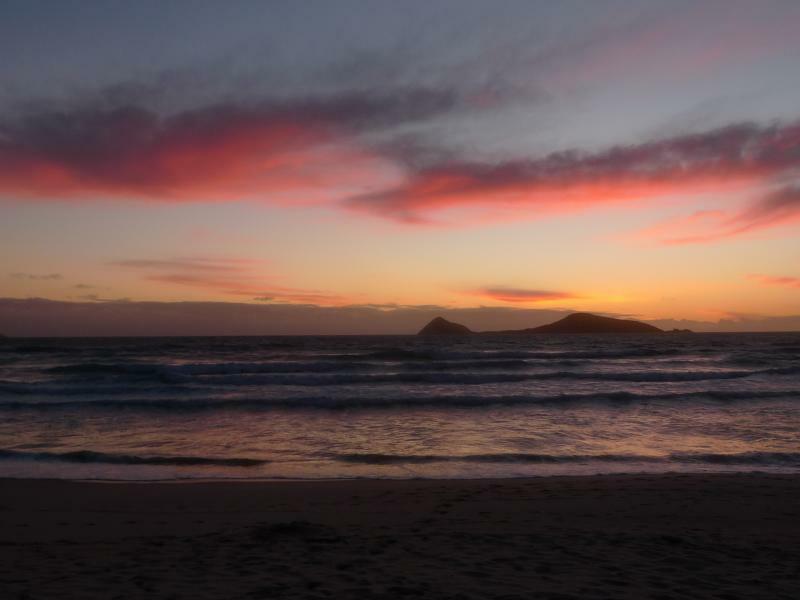 After a short walk, we witnessed this glorious sight of the Oberon beach. Voila! 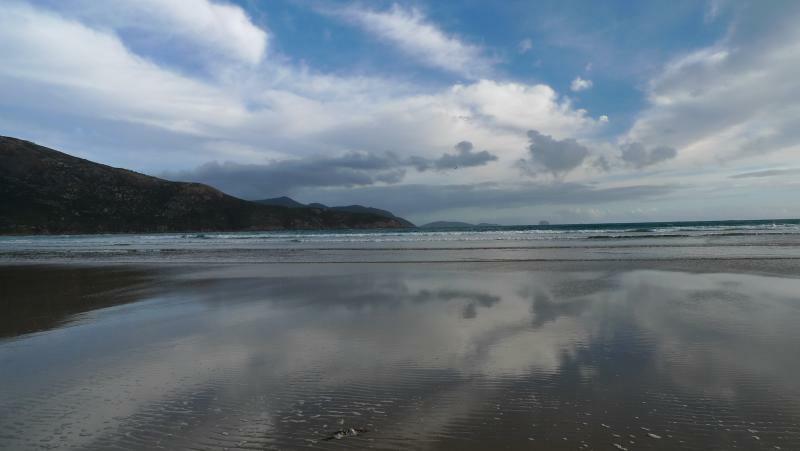 Nature in all her glory, with a nice reflection of the sky provided by the shimmering salt-water coated sand. 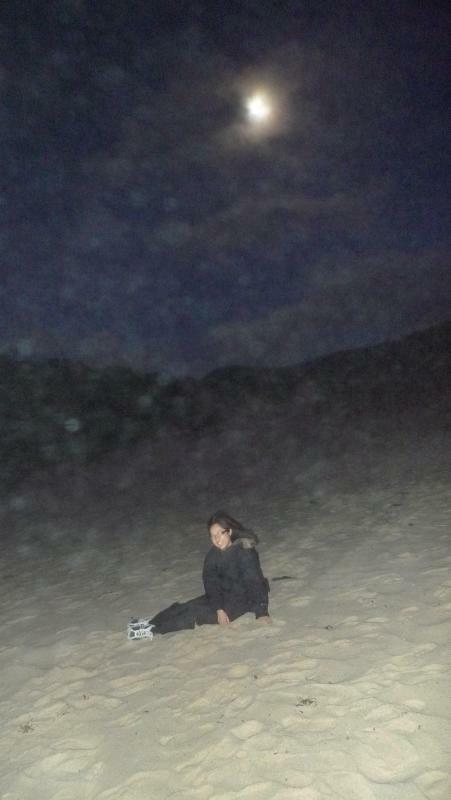 It was so beautiful that I had to have a photo of myself taken here, courtesy of Renshao. As the afternoon sun dipped lower, the low tides made it possible to capture the rippling sand, with the silhouette of beach walkers in the distance. 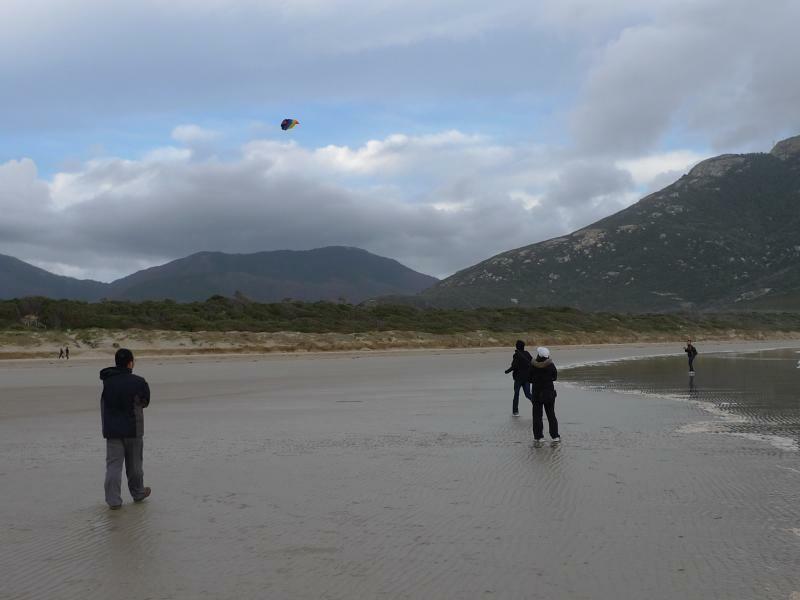 With the strong and persistent winds blowing, Chong Meng was inspired to bring out his trusty rainbow-coloured kite with the help of Renshao, Vicky and Tung. After some initial attempts, we managed to get the kite flying and soaring away. 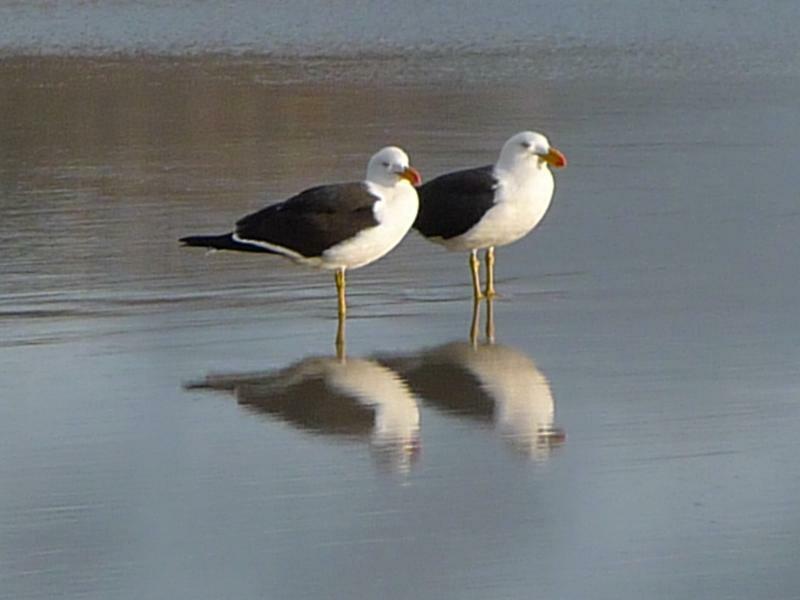 Before we left, I managed to catch this photo of two seagulls standing beside each other, their image reflected by the ephemeral glaze of the shore. 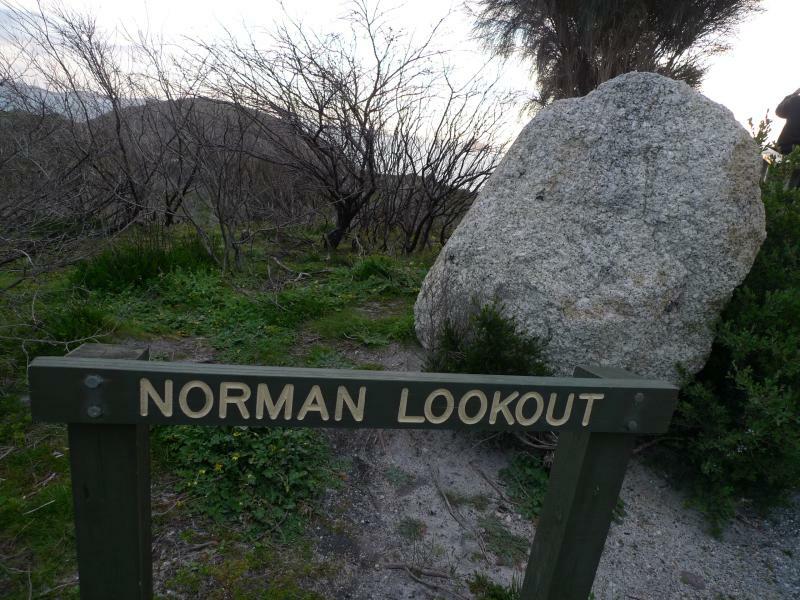 We next ventured to Norman Lookout for more visual feasting. Ironically, I found the golden orange glow of the bushes more interesting than the beach view here. 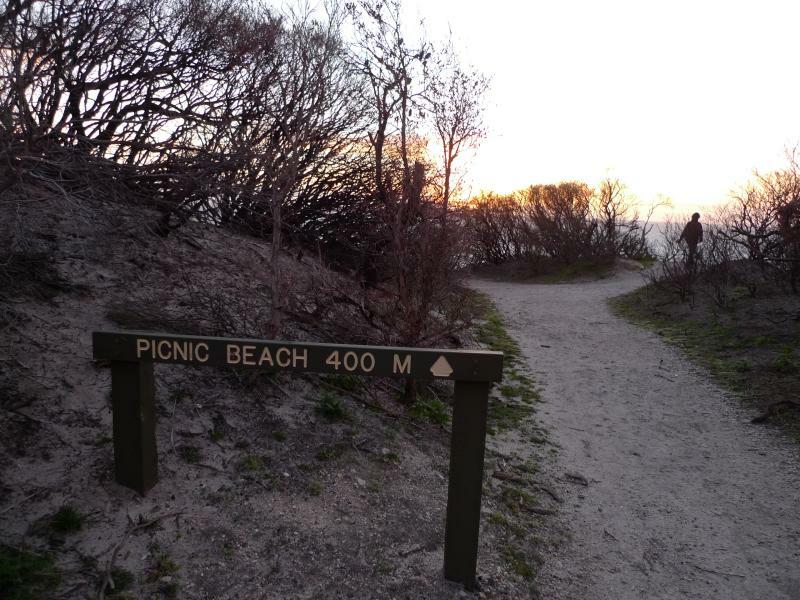 As the sun descended lower into the West, we made a quick drive to Picnic Beach. 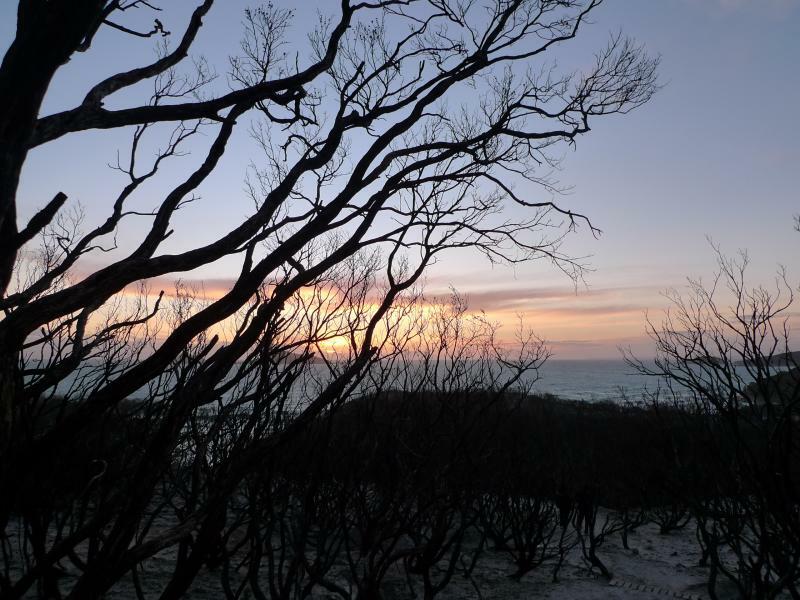 Here, the sandy path was lined with bare scrub, shorn of their leaves and reaching their whispery branches to the sky. 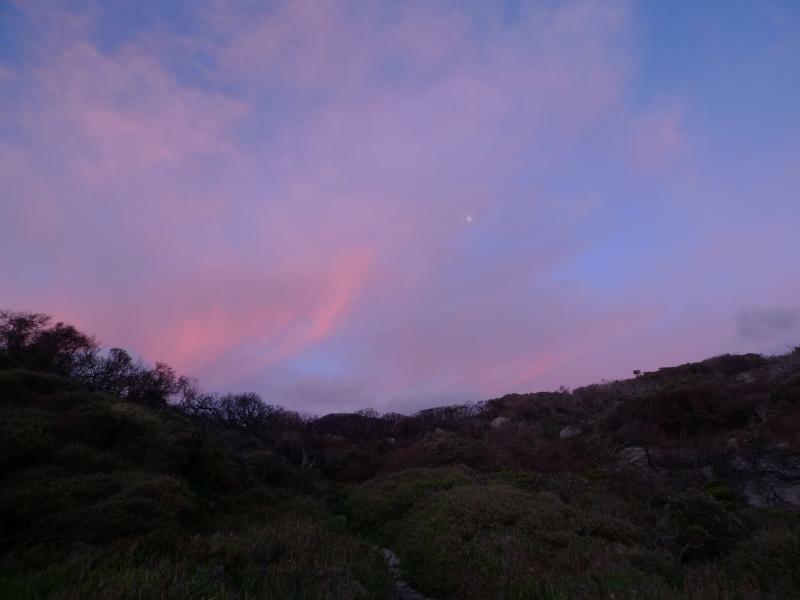 A quick look back revealed a magnificent view of the sky, tinged with hues of blue, indigo and violet. 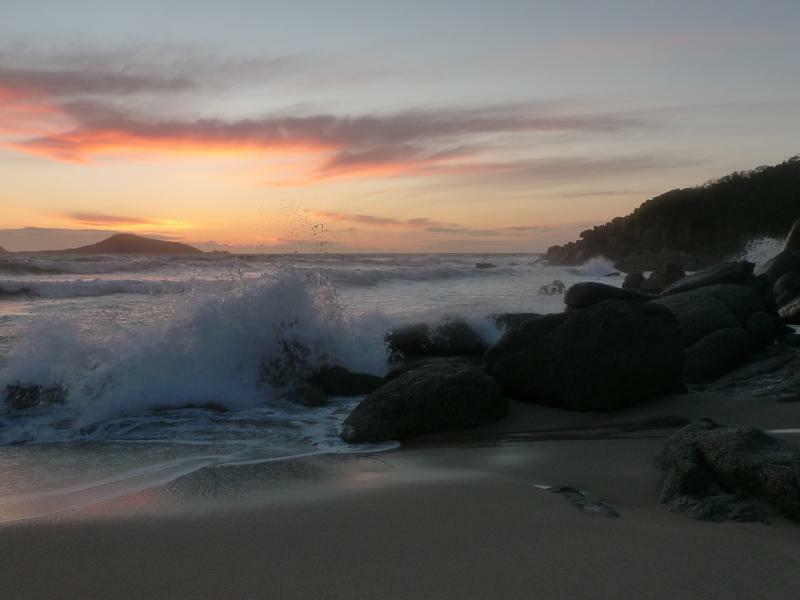 More “colours of the wind (and waves)” greeted us at the shore, with shades of yellow, orange and red framing the evening sky, the sea and the sand. Everybody was in high spirits that evening, despite the frosty southern winds. 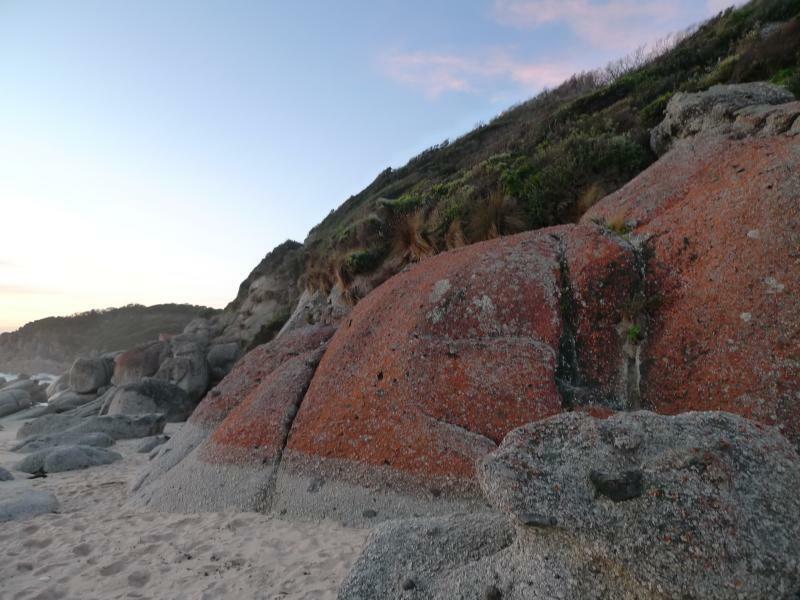 Colourful reddish rocks occupied the shore, silent sentinels braving the effects of the elements. As the waves came crashing onto the rocks, I managed to catch a photo of the sprays of sea water. 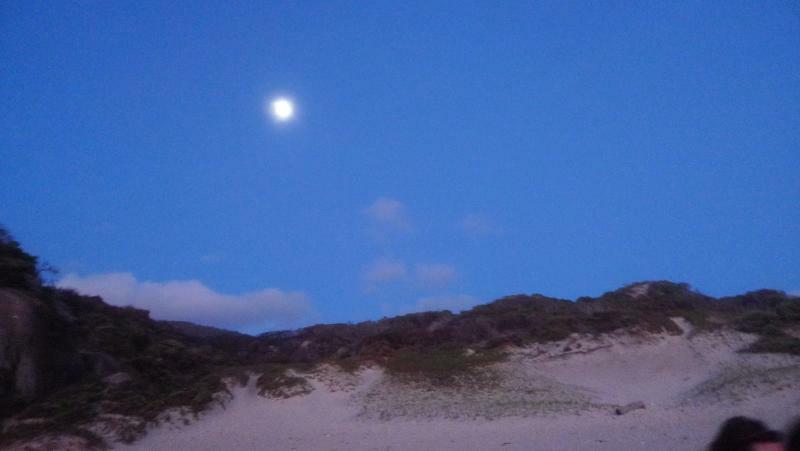 As we moved into the twillight zone with the setting of the Sun, the Moon beckoned us with her wholeness and roundness. Apparently, mid-Autumn Festival was just around the corner. 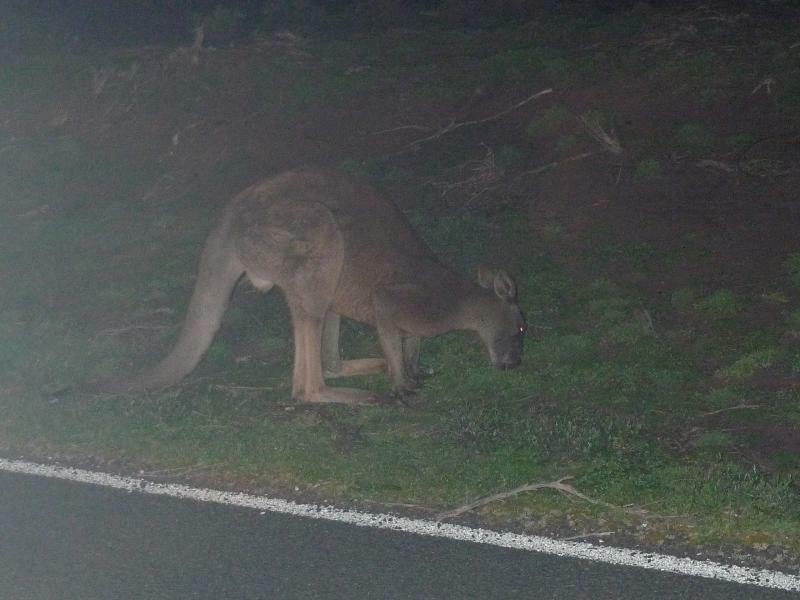 On our return trip by foot and car, we spotted a couple of marsupial friends: wombats, wallabies, and this Eastern grey kangaroo here. Some nice photos there Walter. It’s a good reminder that even wintry weather has a memorable atmosphere. Hi Walter, Looks like you’ve had a great holiday with your family. I recently passed thru some of the same areas with my son. 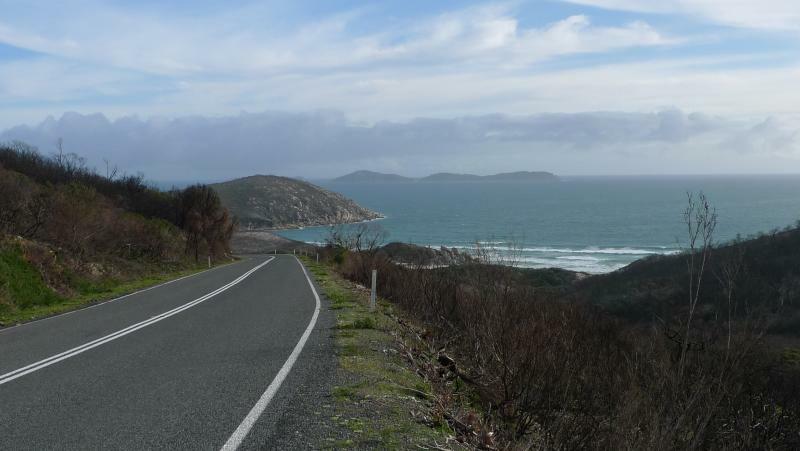 We hired a campervan in Brisbane and drove to Victoria. I loved being in the van because I could go anywhere a whim took me. 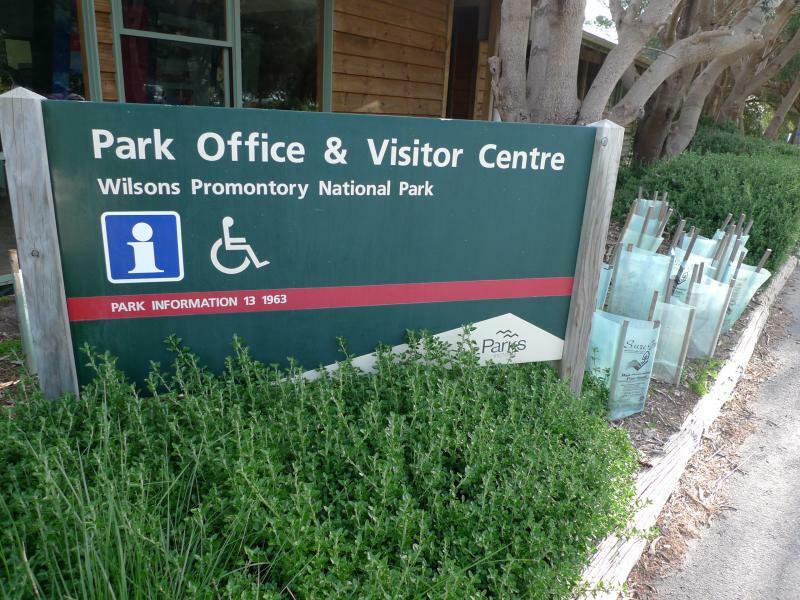 I’m curious to know what brings you from Singapore to Wilson’s Promontory? 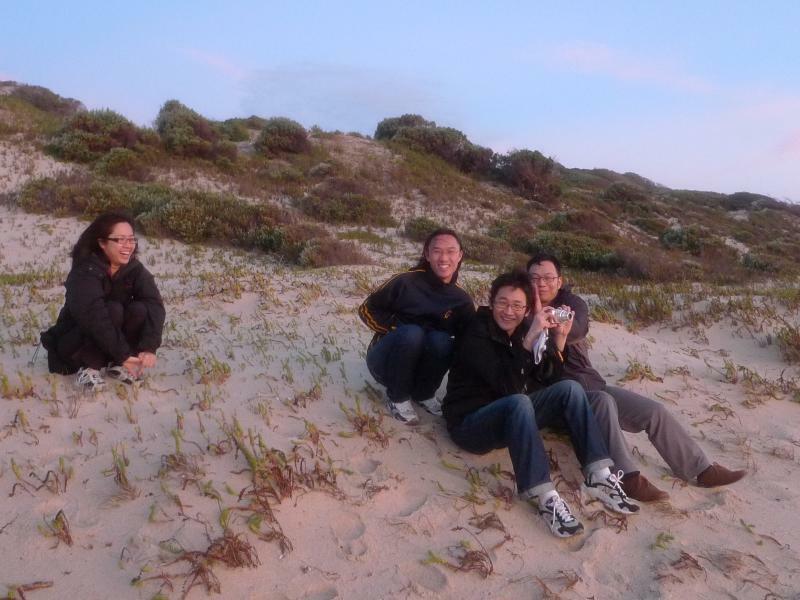 Are you traveling to Australia a lot – hence you’re now going down the path less traveled? 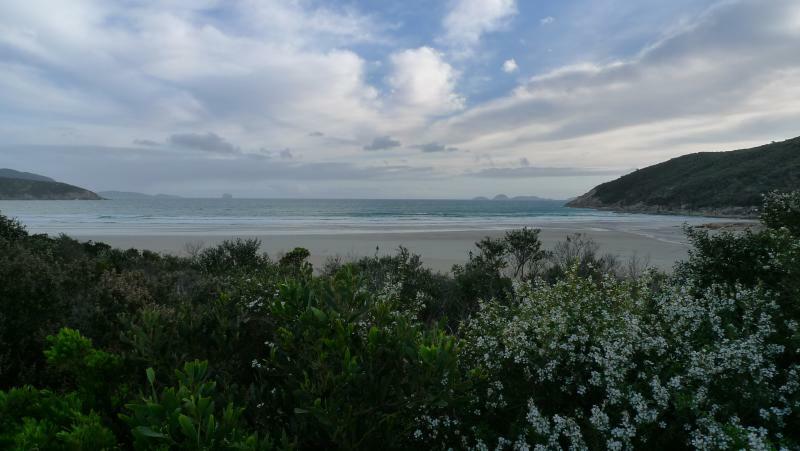 I want to help a friend promote her cottages (Bear Gully Coastal Cottages – they over look Waratah Bay with views to Wilsons Prom. She’s been to some travel shows and no one seems to know anything about the location. I would guess coming from the city, you would have found the nature, space and atmosphere interesting. How would you promote the area?